If you are considering your compact crossover options, then you need to see our 2020 Kia Soul vs 2019 Nissan Kicks comparison. First, we should say a word about the looks. 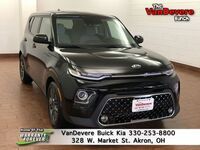 The outgoing 2019 Kia Soul was by no means outdated, but this new 2020 Kia Soul is absolutely gorgeous, and it gives the vehicle a very modern aesthetic. The Kicks is also a pretty new model as it first came out as a 2018 model. However, it looks like it would be right at home in the Nissan lineup from ten years ago. With those big headlights, the garish grille, and the odd chrome it just doesn’t have the same appeal as the new Soul. If you are concerned about more than looks, then keep reading our comparison. 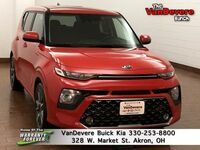 Otherwise, you can see what new Soul models we have in stock at VanDevere Kia in Akron by clicking the link below. When you are talking about any compact vehicle, especially a compact crossover, the price should be the first thing you think about, and here the Soul just has a much lower starting point, making it the easier car to get into. That price won’t mean much if it doesn’t have the features to back it up too, and it does! For starters, the Kia Soul packs in a standard 147-horsepower engine that can easily outpace that of the Kicks. The 125-horsepower engine is the only engine option available for the Kicks too, so don’t think about upgrading. The Soul, on the other hand, is available with a 201-horsepower engine as well. You get more room with the Soul too as the interior provides over 8 cubic-feet of extra room for passengers over the Kicks. Front passengers will enjoy a lot more shoulder room, and rear passengers get additional legroom, head room, and shoulder room. What about features though? The Soul is available with the very best Kia features including options like adaptive cruise control. The same cannot be said for the Kicks. The Soul even gives you Apple CarPlay and Android Auto both as standard features on every Kia Soul trim level. For the Kicks, you have to pay more and get a higher trim level for those features.